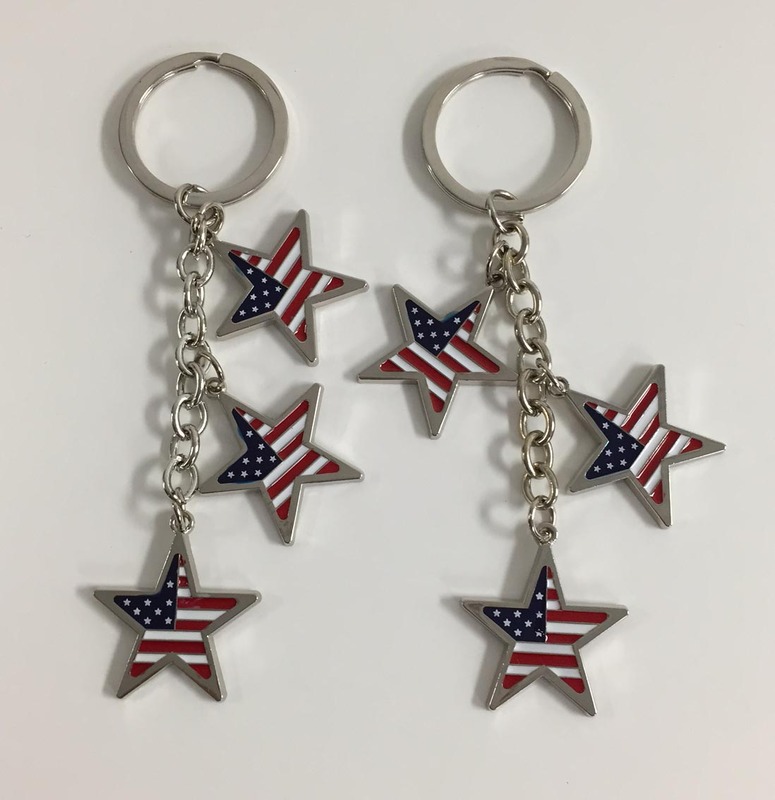 The DANGLING STAR KEY TAG has three star charms colored RED/WHITE/BLUE. 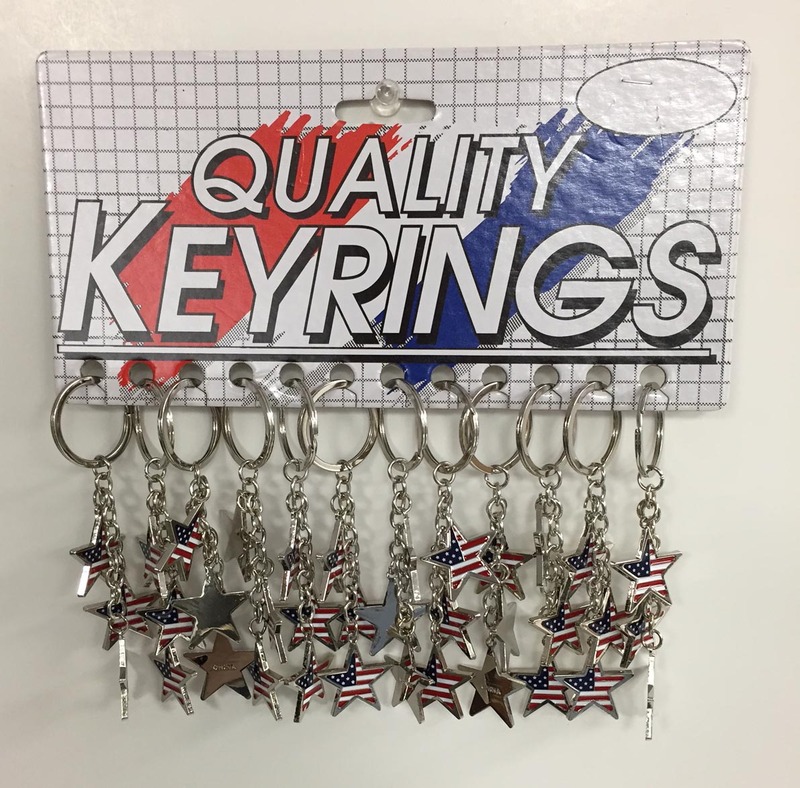 All charms are the exact same size measuring approximately 1" square. The charms are attached to a link chain meausring 2 1/8" and then attached to a 1 1/4" flat split ring. Packaging is bulk.